If your budget for a new sewing machine is under $100, you’re in luck. There are some great and affordable machines available out there. These days, clothes are sold for extremely cheap. Due to the fashion industry expanding as it has, clothing is seen as something both easily attainable and disposable. Because of this, some see repairing and making your own clothes as something unnecessary or outdated. But many of us aren’t happy with this way of doing things and would prefer to take matters into our own hands. Sewing is more than just making cool stuff at home. It can bring you genuine joy while improving dexterity and hand-eye coordination. Not to mention that you’ll never be short on gift ideas for your loved ones! 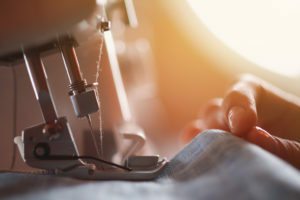 To help you figure out your best option, we’ve compiled a list of the best sewing machines on the market for under $100.